Shepherd Offshore has a team of vastly experienced personnel, who have the training and expertise needed to lash and secure any type of cargo. The company has over 40 years’ experience in mobilisations and demobilisations and has conducted over 3,000 projects for leading companies around the world. We provide a full turnkey service, from initial design through to final installation and commissioning. Our company specialise in material securing systems and we endeavour to develop bespoke, cost-effective and safe systems to support our clients’ requirements. We are often involved in securing abnormal loads and project cargoes which require complex support and appreciating a multitude of variables, before the loads go on to be shipped globally. Our teams provide a complete seafastening, lashing and securing service, and apply approved systems for sea crossings with even the most complex and challenging cargo. Bespoke vessel packing and buffering solutions. Whether you’re looking for lashing and securing for your cargo in transit or bespoke equipment or design solutions to assist in your supply chain, our engineering team is on hand to help you. We pride ourselves on working to agreed effective designs, in order to provide an enhanced service that exceeds your expectations. 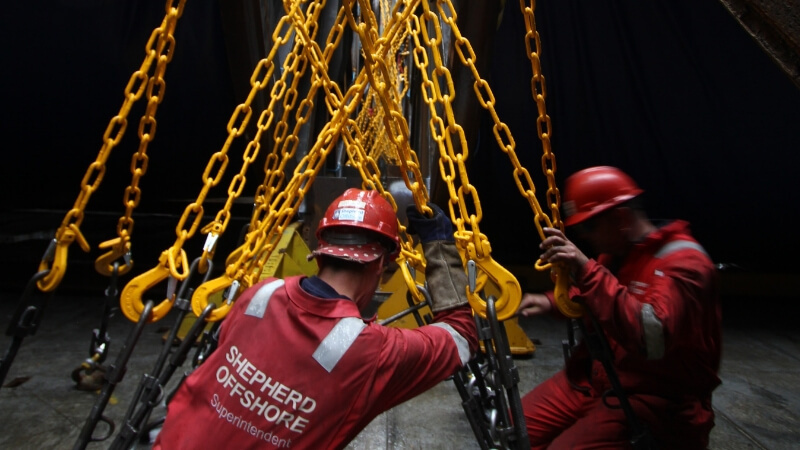 Shepherd Offshore specialises in material securing systems. We design bespoke systems to support client requirements when and where required, appreciating all the associated variables and providing advice throughout the consultation process. Operating an ISO certificated Quality Management System, we aim to provide the best service, 24 hours a day, 365 days of the year. With safety at the centre of everything we do, backed by an experienced and skilled operatives, our services help clients improve planning, safety, efficiency and optimize the time management of their projects. Our teams provide a complete seafastening lashing and securing service and apply client approved systems for sea crossings and the most complex and challenging cargo. The team at Shepherd Offshore can secure heavy / abnormal and project cargos, having the ability to provide an initial solution for development and final implementation. Our staff and workforce have a wealth of product knowledge and practical advice. We take pride in providing high-quality, competitive solutions that offer excellent value and help you meet both your project targets and time frame. We’ll ensure your cargo is transported efficiently and safely throughout the world.